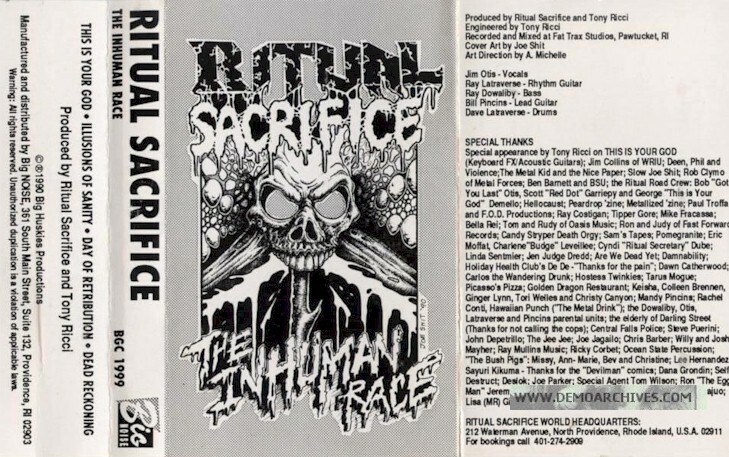 RITUAL SACRIFICE, hailing from Central Falls, Rhode Island, released a swathe of demos commencing with an eponymous outing in 1989, 'The Inhuman Race' in 1990, 'Into Darkness We Fall' in 1992, 'Bury The Living' in 1993 and the 1994 set 'Dimmer The Light'. All demos have been re-released in 2007 on CD. Xeroxed Covers and regular tapes. Lyrics included. Pro made Covers and pro printed cassettes. Lyrics included. Pro made Covers and pro printed stickers that are on the shell of the cassettes. Lyrics included. 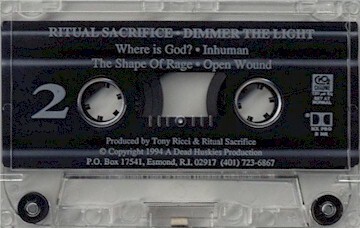 Pro made Covers and pro printed cassettes. 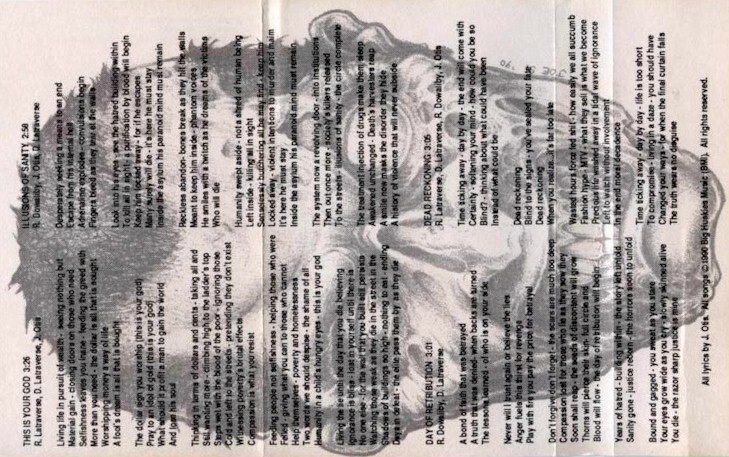 Lyrics included. Nothing on back.